I’ve tried doing some research to figure out what function this structure serves. No luck in figuring that out. Originally I thought it might be a cell phone tower. Maybe some type of research instrument. An art sculpture in middle of nowhere was a thought. I can’t recall if this was before or after the Bonneville Salt Flats. My answer as to what the structure is. 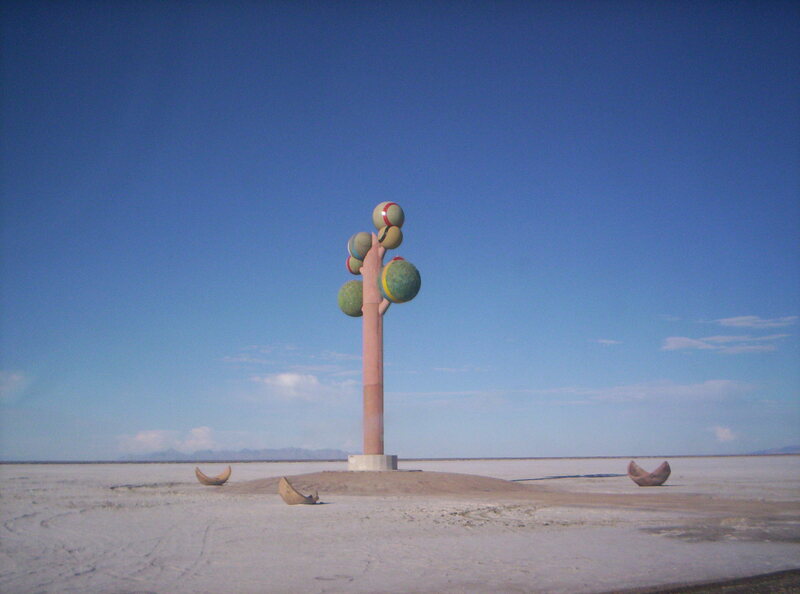 Utah Mysteries: What’s with the giant lollipop sculpture by the Salt Flats?